Welcome to Tri-County Gastroenterology, where we specialize in the treatment of diseases of the digestive system. Welcome to Tri-County Gastroenterology, PC, where we specialize in the treatment of diseases of the digestive system. We have been committed to providing care to residents in the Southeastern, Michigan, Tri-County area for over 30 years. 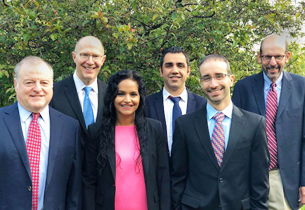 Our dedicated team of Board-certified gastroenterologists utilizes the latest diagnostic testing and techniques to treat conditions including ulcerative colitis, Crohn’s disease, irritable bowel syndrome, swallowing difficulties and diseases of the liver. We also encourage colon cancer screening and are committed to colon cancer prevention. We are dedicated to providing each patient with the highest quality care, delivered with compassion and warmth. Thank you for choosing Tri-County Gastroenterology as a partner in your health and medical well-being. For more information or to schedule an appointment, call us at (586) 286-5400. Copyright © 2010 Tri-County Gastroenterology, P.C.